A.B.A.T.E. 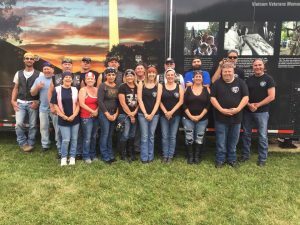 of Pennsylvania is an organization of motorcyclists dedicated to the protection of the individual rights of motorcyclists through political change, public education and charitable works. As part of this mission, they are also active in the elimination of unfair legislation as it concerns motorcyclists, promoting motorcycle safety through both motorist and rider education, and improving the image of motorcyclists to the general public. For more information call 814-648-0408, email powersurgedjs@gmail.com or visit clarioncountyabate.weebly.com. 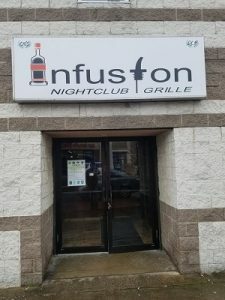 Infusion Nightclub and Grill, opened in 2018 by John Pacsai, is located at 518 Main Street in Clarion. You’ll find daily specials, pool tournaments, Thursday night Pierogi nights and even hop a trolley ride to and from your hotel. If you’re looking for great prices, friendly employees, and a clean and safe environment then check out Infusion Nightclub and Grill. For more information call John Pacsai at 814-648-0408, email powersurgedjs@gmail.com or find them on facebook.